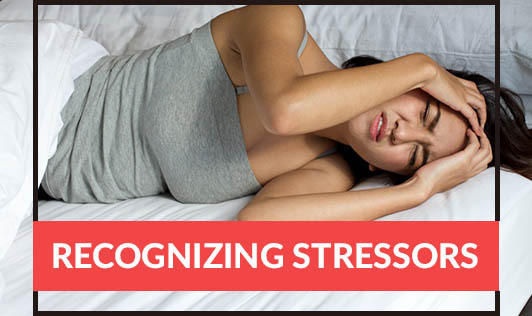 People who don't manage stress well can have headaches, stomach pain, sleeping problems, illness, and depression. Follow these 4 guidelines to dispel stress: Take Time Away: When stress is mounting at work, try to take a quick break and move away from the stressful situation. Take a stroll outside the workplace if possible, or spend a few minutes meditating in the break room. Physical movement or finding a quiet place to regain your balance can quickly reduce stress. Talk it Over with Someone: In some situations, simply sharing your thoughts and feelings with someone you trust can help reduce stress. Talking over a problem with someone who is both supportive and empathetic can be a great way to let off steam and relieve stress. Connect with Others at Work: Developing friendships with some of your co-workers can help buffer you from the negative effects of stress. Remember to listen to them and offer support when they are in need as well. Look for Humor in the Situation: When used appropriately, humor is a great way to relieve stress in the workplace. When you or those around you start taking things too seriously, find a way to lighten the mood by sharing a joke or funny story.